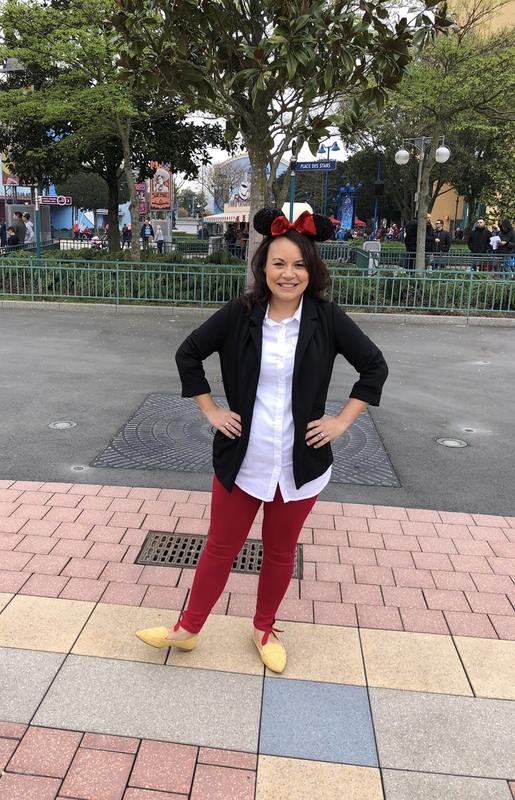 I regularly wear Disney clothes whether it be at a Disney park or at home but surprisingly I had never given Disneybounding a go. 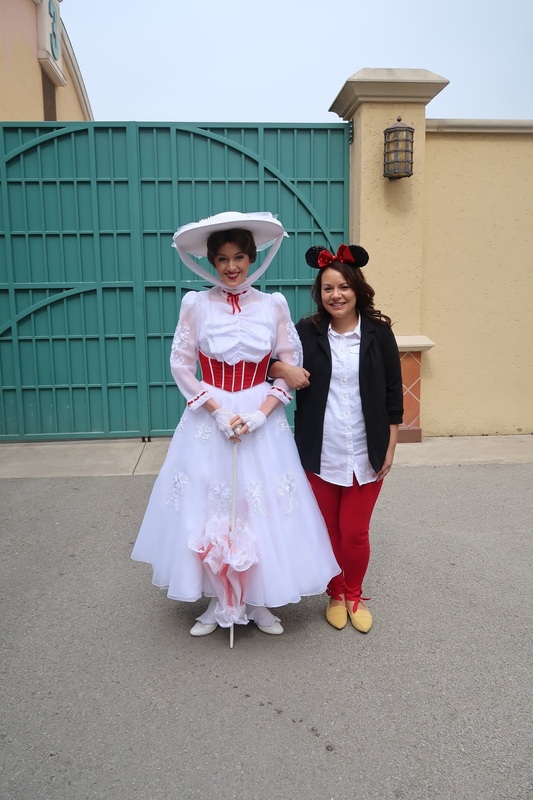 Now that i'm an annual pass holder at Disneyland Paris I knew it was time for me to join in with the dressing up fun. As adults you aren't allowed to wear Disney costumes around the parks so Disneybounding was invented. 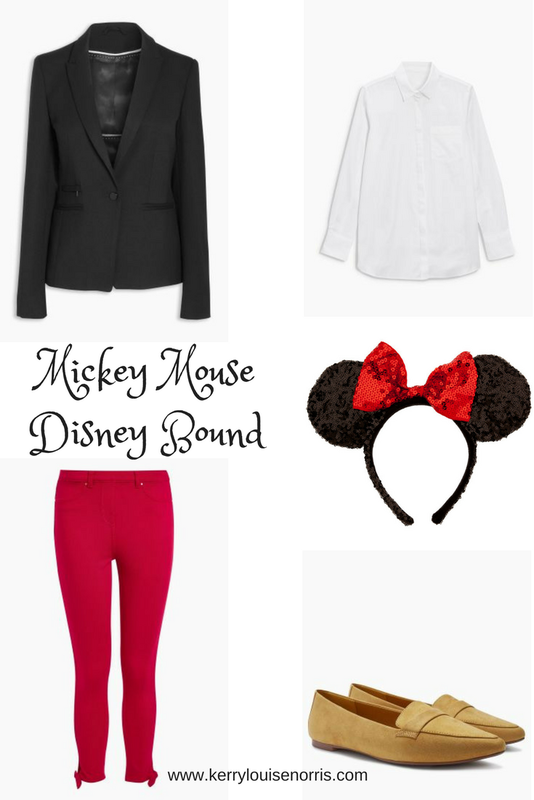 Disneybounding is basically an outfit influenced by a Disney character. it's a great way of bringing your style into an outfit. On our last trip to Disneyland Paris it was their 26th anniversary so I wanted to dress up as my all time favourite character.....Mickey Mouse. Princess Jasmine is a very close second but no character will ever beat Mickey in my eyes. 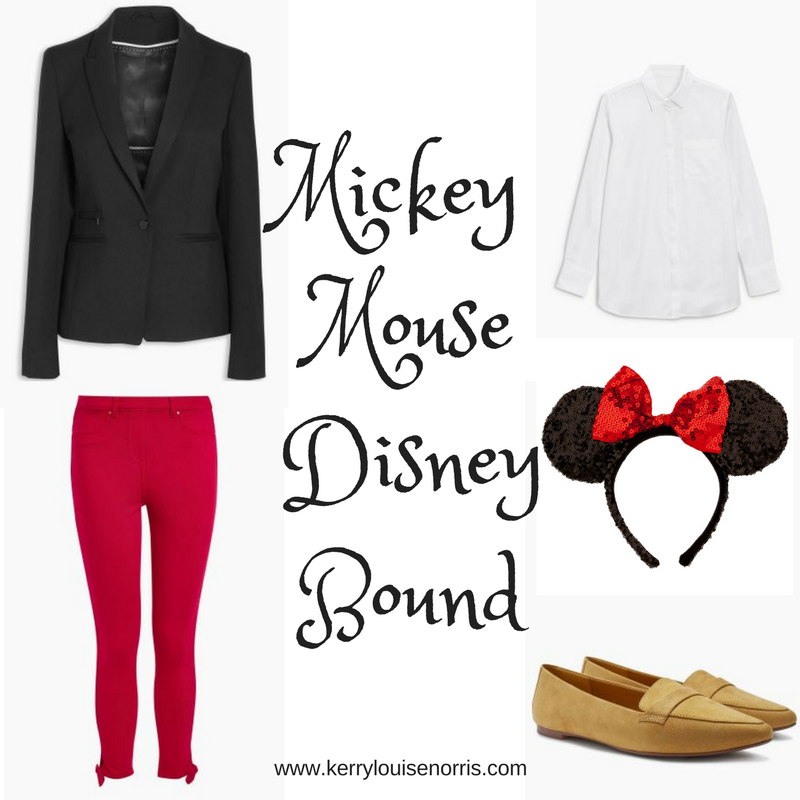 I searched the internet for Mickey coloured clothes and found a lot of my outfit from Next. I knew I wanted a black blazer (which I already had), a white shirt (which I already had), red trousers and yellow shoes. I also didn't want to buy anything that I knew I wouldn't wear again. Next are always great for having fashionable basics in multiple colours. They had a couple of pairs of red jeans and also quite a few pairs of yellow shoes. 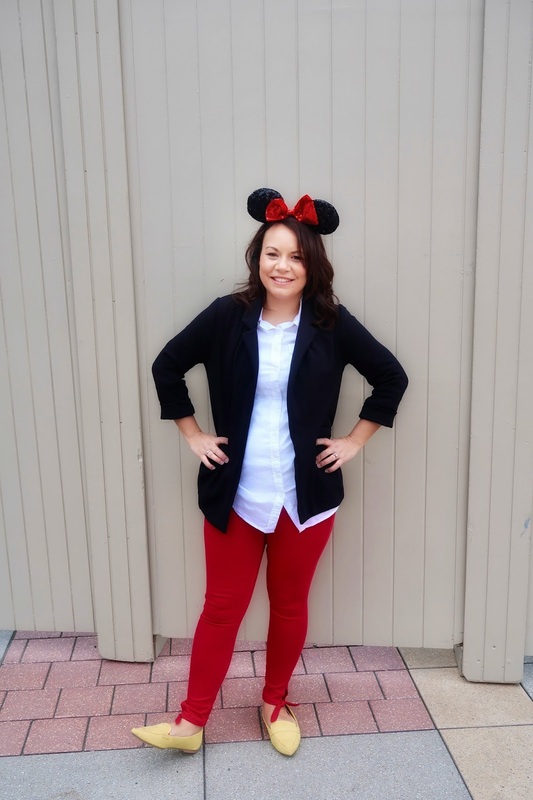 You can change up this Mickey Mouse Disneybound very easily by swapping the jeans to a skirt or shorts etc which would be ideal for the summer months. I absolutely loved Disneybounding. I was worried at first that I would get lots of funny looks but it was quite the opposite. I had lots of lovely comments and the cast members all made an effort to compliment my outfit. Aw so cute! My daughter would have to decide between Elsa and Ariel but my son would dress as Lighting McQueen - be interesting how he would do that! Oh I love this! I didn't know that you weren't allowed to wear a Disney outfit around the resort! This is so creative and looks fab too! I'd never heard of Disneybounding before. What a great idea! I think I prefer the subtle look anyway to full on costume. What a great idea, I hadn't heard of Disneybounding before. Sounds like a great way to dress up without going in full costume. What a cute idea and you look great. I never knew about Disney bounding! Love those shoes, right up my street!